Pure joie de vivre! 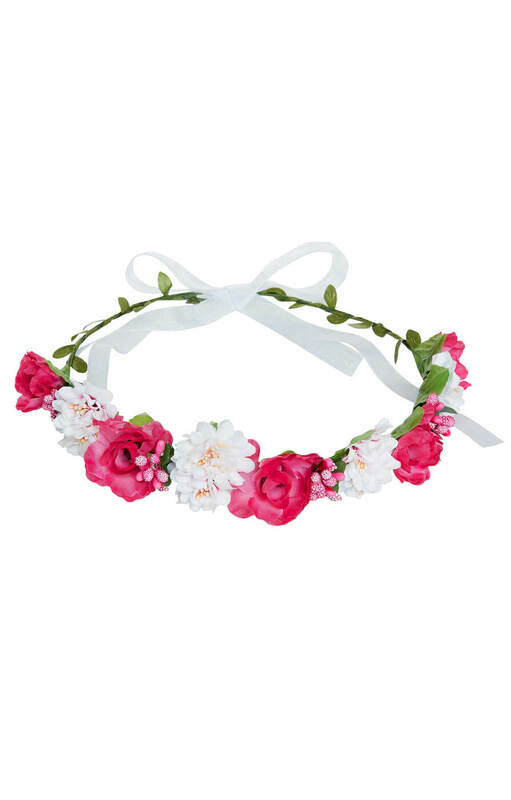 This headdress by Reischl with its pink and white flowers and delicate buds adds a stunning, stylish backdrop to any romantic outfit. 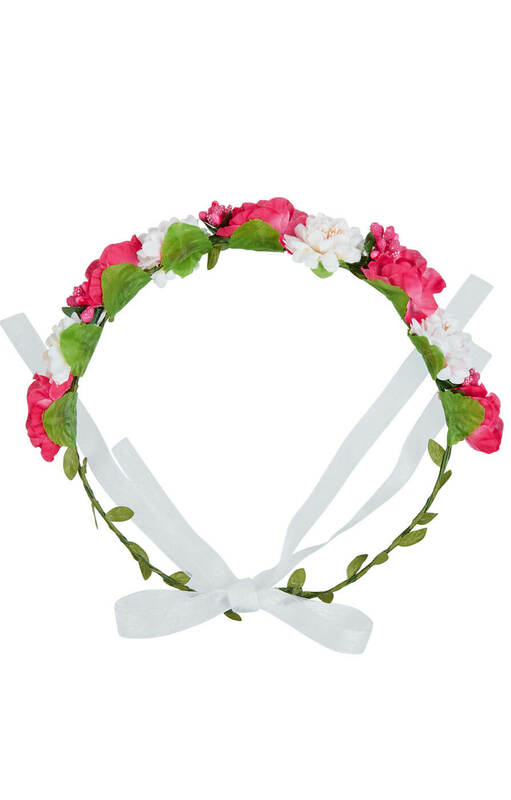 Whether in combination with a dirndl, or as part of an outfit for a party or a wedding, this headpiece is a trendy accessory that you can’t afford to do without! It’s a truly unusual hair accessory that expresses your natural, joyful character and makes your face glow! Celebrate big events and dance for joy with the shimming chiffon band that holds the headdress securely on your head. Whether braided into your hair or worn hippy style, there are no limits on how you can wear it. Just listen to your heart and your dreams – then nothing can go wrong with this beautiful hair decoration!